We construct two novel quaternion-valued smooth compactly supported symmetric orthogonal wavelet (QSCSW) filters of length greater than existing ones. In order to obtain their filter coefficients, we propose an optimization-based method for solving a specific kind of multivariate quadratic equations. 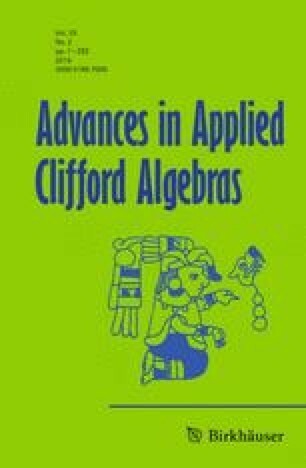 This method provides a new idea for solving multivariate quadratic equations and could be applied to construct much longer QSCSW filters. Jiman Zhao supported by National Natural Science Foundation of China (Grant nos. 11471040 and 11761131002). The authors would like to thank Professor Fritz Keinert for his detailed reply about a Matlab toolbox written by him. We also thank Professor Baobin Li for his useful suggestions. Thank the reviewers for giving us constructive and valuable suggestions.